5 Reasons to Get Excited About the San Jose 408k! I may have left California, but California has not left me! So I’m super excited to have the opportunity to run the San Jose 408k as a remote runner! In my previous blog post, I mentioned how I’ve missed running races so it will be fun to feel like I’m running the 408 even if I am in another country! So whether you live in San Jose, Asia, or somewhere in between – you can also get excited about this race and here are 5 reasons why! 5. The Location! – After your run through beautiful San Jose you will finish at Santana Row, which is an upscale shopping/dining/living development and it’s the ONLY event that finishes here! 4. Special Course Miles! – Running the 408k gives you the opportunity to run both the Memorial Mile and the Mariachi Mile. The Memorial Mile is a chance for runners to show their respect to local military as well as an opportunity for veterans to cheer on the runners. The Mariachi Mile will feature several mariachi bands playing along the last mile of the course. How fun is that?! 3. Extra SWAG! – Run the 408k (in person or remotely) along with any of the race distances from the Silicon Valley Half event and you will score some extra BLING! It will be a great addition to your medal rack! 2. Pat Tillman Foundation – This year’s Official Benefitting Charity is the Pat Tillman Foundation. Fundraising and donations to Pat Tillman Foundation will be invested in military veterans and their spouses through academic scholarships. This is a great charity and there are even fundraising levels. 1. Remote Runner – And my fave thing about this race? Well, I think it’s pretty obvious…but I’m excited that I can run this 8k on my own and still score some swag! What does it mean to be a remote runner? It means I can run at home and I will receive a bib, official race shirt, and medal in the mail! No traffic, no crowded expo lines! Super easy and convenient! 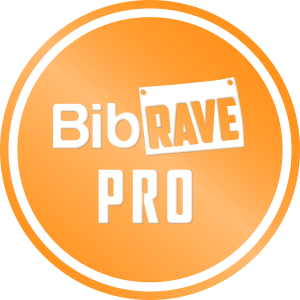 And if you aren’t excited yet, use code “BIBRAVE” save $10 on your race entry or remote runner entry! And of course, if you aren’t up to running an 8k (4.97 miles) you can always head over to cheer on the runners (we love spectators!) or be a race volunteer! 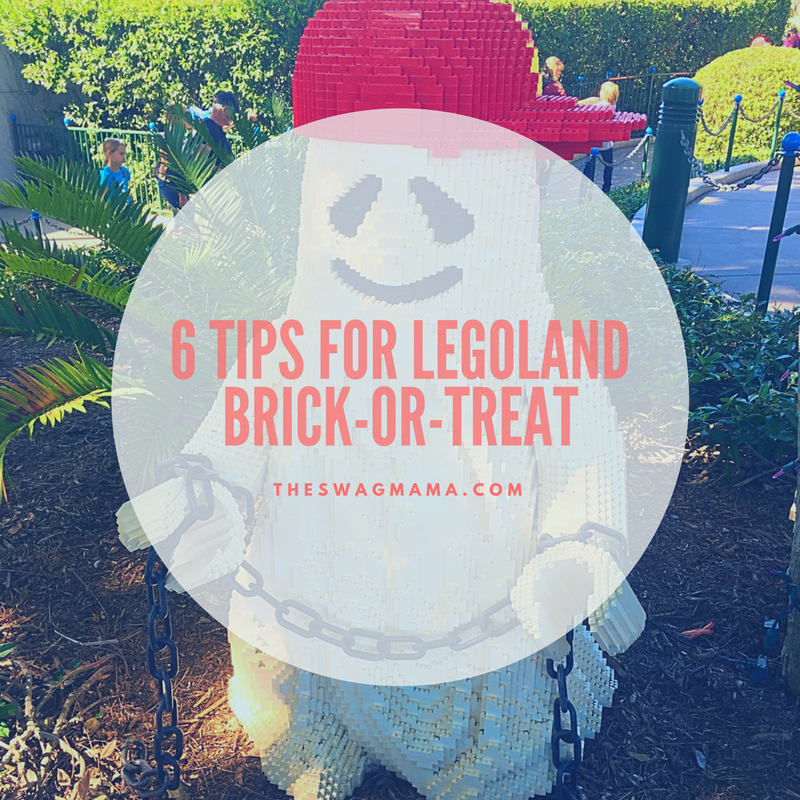 6 Tips for LEGOLAND Brick-or-Treat! If you are looking for some Halloween fun with the kiddos this season, then you may want to check out Brick-or-Treat party nights at LEGOLAND California and Florida! We attended the party last year in California and the kids really enjoyed it! It may seem a little overwhelming if you’ve never been before, so here are a few things you will want to know before you party the night away! The Brick-or-Treat event requires a separate admission ticket. You can purchase a ticket online beforehand (in case the event sells out for the night…it happens) or you can purchase one at the gate. We took our chances and bought our Brick-or-Treat tickets at the gate (we already had LEGOLAND tickets). This year’s tickets are $59 for the party alone or $79 for a full day plus the party. Note: they do actually check the wristbands and if you don’t have one you will be directed away from the park. Get there early! The party starts around 5pm, but you’ll want to get there earlier in the day to eat, ride rides, and rest a little before things get poppin’. Once 5 o’clock rolls around, the park gets pretty packed and lines will get longer so plan accordingly. Then the fun characters come out! Bring your dancing shoes! There will be a couple of different dance parties throughout the night, so make sure you attend so you can show off your Monster Mash moves! And don’t forget to enjoy the pretty lights! Get a treat bag or bring your own! There will be treat stations throughout the park so make sure you have a bag for all the loot! They do give them out at the park, but you could bring your own as well! Some stations have longer lines than others, so just be prepared to wait a little in some spots. There will be SWAG! In addition to treat stations, there will be opportunities to complete missions and score Limited Pop Badges! Speaking of SWAG! Let’s check it out! Lots of fun stuff! And the kids were more than satisfied! Would I attend this event again? Absolutely! Yes, you pay a little more to get in, but I think that it’s completely worth it! There are shows, parades, special treats, and more! And the kids will love all of the fun decorations and pumpkins! Brick-or-Treat party nights is open every Saturday evening in October so get your tickets soon! You can find all of the event details here! Have you attended a Brick-or-Treat party night? What was your favorite part? Maybe you’re a wine connoisseur or maybe you’re a wine newbie, either way…at some point you may be interested in attending a wine tasting. And if you’re like me, you might be a little bit clueless about wine tasting and what to expect. Earlier this year, I had the pleasure of going on a wine tasting tour in Temecula, CA with a group of friends. I was a little nervous at first because I don’t know a whole lot about wine, but it turned out to be a wonderful and memorable experience! Here’s a little bit about my trip to wine country and maybe it will help you get a better idea for what to expect on your future wine tasting! The first perk of this trip was that our group was able to take a Limo Bus to Temecula from San Diego courtesy of First Command Financial, Inc. If you’re going with a group, I highly recommend taking a bus, taxi, Uber, etc. OR make sure you have a designated driver so that you can enjoy all the wine you want without worrying about the logistics of getting home. Bottom Line – have a plan, be responsible. The best part of taking a bus is that you can drink on the way! Yay! We had mimosas and bagels on the way up (again, courtesy of First Command Financial, Inc.) and it made the trip extra fantastic! Our first stop was Ponte Winery! Wine tasting turned about to be way easier than I imagined! You just walk in, pay for your tastings, and taste away! It’s $20 for 6 tastings and you can split these with a friend if you aren’t ready for all 6 (which is what I did since I knew we were going to more wineries). And if you just wanna come for the atmosphere, you can also order a coffee and check out the beautiful gift shop. Then you can head outside to enjoy the scenery or grab some lunch at the restaurant! And bonus: you get to keep the glass! Next, we headed over to Wilson Creek Winery. This winery is also $20 for the tasting room and keepsake glass, but again you can split it with a friend. Another awesome thing about Wilson Creek is that it’s a family friendly winery! They have a playground for kids, live music, an outside bar, a restaurant, and lots of room for the kids to play and run! They also had a nice gift shop and plenty of beautiful scenery to enjoy! We stopped here to eat lunch courtesy of Jersey Mike’s and of course, First Command Financial, Inc.
Our last stop was Callaway Winery and the price is $10-$25 depending on if you want to do a tour with your tasting. This seemed like a smaller tasting room than the others, but it also had the most interesting scenery. They even have wine stations which are like little wine vending machines! You can also enjoy a meal at their restaurant or visit their unique gift shop. The views were especially spectacular…I could have stayed here all day! Overall, I had an amazing experience visiting wine country! Even if wine isn’t your jam, I would recommend going to Temecula just for the atmosphere and breathtaking views. Not only did I enjoy my wine…I enjoyed my SWAG, too! Have you been to a wine tasting? What was your experience like? I’d love to hear! Hopefully you’ve already read my recap on the Rock ‘n’ Roll San Diego race expo and 5k! So here we go with my 4th half marathon adventure! Parking: Parking was pretty complicated. The race website listed which roads would be closed off and suggested parking plans, but it was a little hard to follow. I had a friend pre-pay for parking in the finish line parking garage only to arrive early and sit in a parking line for over an hour. Then she ended up missing her pre-paid shuttle because of the delay and had to run 1.5 miles uphill to the start line and almost missing the race altogether. We ended up finding street parking near North Park around 5:30am and walking two miles to the start line. Basically, all of the streets around the race were shut down by 5 am so if you didn’t arrive by then, you were walking at least 1.5 miles. Overall, the parking situation was a total mess and really needs to be re-evaluated. Race Morning: The half and full both began at 6:15am from the same location. It was more “June Gloom” weather which meant is was overcast and in the 60s. There were close to 40 corrals and I was in corral 32. The waves were pretty well organized and were released about every two minutes. This meant my wave was released around 7:20am. We arrived to the race area around 6am so I had plenty of time to prepare for the race. There were lots of porta potties and crazy long lines, but I waited until about 7am to find one so the wait wasn’t too bad by then. Gear check was simple – it was organized by last name and divided up among UPS trucks that transported the bags to the finish line. Pre-race also included a water station, info area, and medical tent. Miles 1-5: The first 5 miles were a little hilly, but nothing too crazy. I watched a woman throw up on the 2nd mile and another woman trip and fall pretty hard around the 3rd mile. A few runners stopped and helped her up and it looked like she kept going. Then apparently their bad luck rubbed off on me because I rolled my ankle (the same ankle I had rolled a week before) on the 4th mile. I’m not sure which hurt worse, my ankle or my pride because now I knew I couldn’t PR. Luckily my friend was also running with borderline pneumonia so she wasn’t planning to PR either and ran with me the rest of the race. The spectators and crowd support were fantastic though and they even had a bar set up at the 4.5 mile mark! At this point in the race we had seen a couple of small bands, lots of cheer squads, and some clever signs. The 5th mile was the Wear Blue mile and it was quite emotional. American flags lined the streets along with names and photos of fallen service members. I knew a couple of the ladies volunteering and holding the flags so it was nice to see some familiar faces during this emotionally tough stretch. Miles 6-10: This part of the course ran through more small districts and some residential areas. There were a couple of more bands, water/Gatorade stations, spectators, and plenty of cheerleaders. The terrain was a little rough since this is a heavy-traffic area – so there were lots of cracks and holes in the roads, not to mention slanted streets. These are all horrible things for running on a sprained ankle. 😦 Also, the full marathon course started to split off sometime around here so things got a little less crowded. Miles 11-13: Despite my injury, I think these miles were the most entertaining. There was a stretch of the course where there weren’t many spectators, but then there were fun drums and more fun people! They even had signs with inspirational quotes from the participants lining a long stretch of the course. Then came the disco tunnel! Complete with a DJ! I was sad that the marathoners didn’t get to experience this part of the course. Then we started making our way through more of downtown and towards the Waterfront Park. Finish Line: Yay! I made it! Injured ankle and all! But the finish line was kind of a mess. They handed us our medals…followed by water, Gatorade, chocolate milk, and various snacks. Notice anything missing from that list? Bags…there were no bags. On top of having to carry 20 items, we had to walk a block down a hill, through an intersection to the finish line festival. Not to mention, it was extremely congested. It was crowded and confusing and gave me a bit of anxiety. We finally made it down to the festival near Waterfront Park where we had some more room to breathe. The festival included a medical tent, photo ops, a beer garden, live band, and medal area. The medal area is where you could pick up any of the extra bling you may have earned. Since I completed the 5k the prior day, I picked up my Remix Challenge medal! All I had to do was show my wristband that I received at the expo and it was all mine! There was also a marathon jacket table for all of the awesome marathon finishers! I didn’t stay very long for the concert fun because we were pretty tired and my ankle was hurting. We were also a little chilly and were ready to get warm. So we caught a Lyft back to the car (super easy and quick) and headed home! Most of it is pretty much the same stuff I received in my 5k swag bag. The tech shirt is slightly different and my bib was personalized which was nice. We also got extra snacks at the finish line. (not pictured: Gatorade, chocolate milk, and banana) I also didn’t make it to the beer garden this time, but it was Michelob Ultra again and I saw a lot of people in there so I’m sure it was great! My gear bag also came apart right before the race, so I was a little disappointed in the quality. 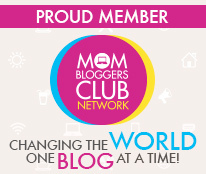 You even get cute little digital badges for reaching certain goals! And of course the sweet medals! The half marathon and remix medals spin! Woo hoo! Overall thoughts: Things I really liked about Rock ‘n’ Roll: course support, spectators, hydration stations, medical tents along the course and at the finish line, race swag and medals, quick race photos at a decent price, race expo, beer garden, disco tunnel, photo ops, some of the bands including Naruwan Taiko, Forrest Gump, the Wear Blue mile, and running with @thehungryrunner_. Things that could be improved: Parking, more upbeat bands – the bands were all great, but it would have been nice to hear more energetic music rather than blues types songs during certain points of the run; better quality gear bags – they were essentially grocery bags with strings; offer bags at the finish line; also offer mylar blankets – even though it’s June it was pretty chilly; a lower participant cap – I really think the event was slightly overcrowded and felt like the experience would have been better if it hadn’t been so congested. Also, San Diego is such a beautiful city…I think the course route could be slightly altered to include some more scenic spots. Another interesting fact: This was the first half that I ran without headphones! I wanted to experience the bands and full essence of the race so I skipped personal music this time. In doing this, I heard a lot of other people’s music in passing and guess what song I heard the most?? “CALL ME MAYBE”!! I actually forgot about this song so I was surprised to learn that this was a lot of people’s power jam. What do you think about the Rock ‘n’ Roll series? Which city is your favorite? !